A U.S. Air Force officer tries to stop a murderous group of terrorists who are trying to steal two top secret F-117A Stealth Fighters from the cargo hold of a gigantic C-5 Galaxy Transport flying at 30,000 feet over the Pacific Ocean. An animal smuggling deal goes wrong, resulting in a large shark escaping into the swampy backwoods river. 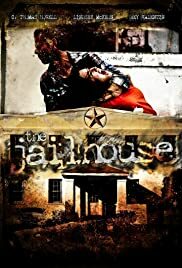 A haunted (jail)house horror/thriller, bearing some resemblance to "The Shining." Although, of course, Billy Lewis isn't Steven King, who wrote "The Shining, and C. Thomas Howell, who stars in "The Jailhouse," isn't Jack Nicholson, who starred in "The Shining." Nevertheless, Howell carries the picture pretty well,he's in almost every scene. The film's a low-budget indie made in southeastern North Carolina. According to an article in local newspaper, Wilmington Star News, writer-director Billy Lewis was inspired by existence of creepy old jail house in Burgaw, N.C.; wrote and made film around jail,in which it is more or less the villain. Produced by Heath Franklin,locally cast, aside from Howell. A short, tight, quick film that moves pretty well, is not as bloody and gory as most films in this category: no brains splashed all over the place, nor eyes hanging out. I was able to get into it pretty quickly. Think it might do well, even in non-English speaking markets, the plot can be followed easily enough without the understanding of English.